Award recipients (bottom row) Christian Pincock, Kate Olson, Chris Icasiano, Willem de Koch, Josh Rawlings, (top row) Wayne Horvitz, D’Vonne Lewis, Eugenie Jones, Ahamefule J. Oluo, Stephanie Porter, Jacob Zimmerman, and Evan Flory-Barnes. Photo by Daniel Sheehan. 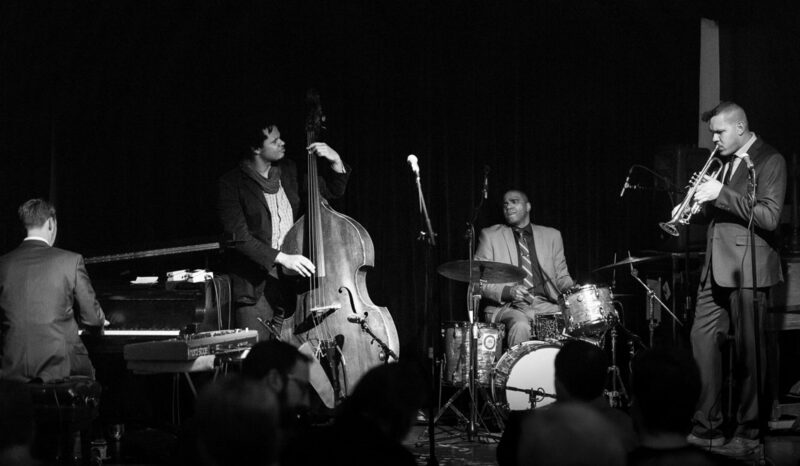 In March 2014 at the Royal Room, Industrial Revelation opened and closed a positively buoyant celebration of recent accomplishments by Seattle’s jazz community. 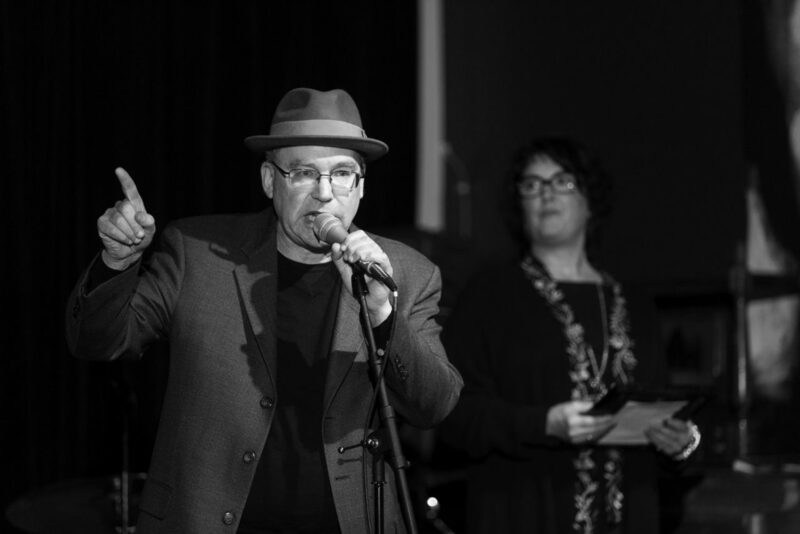 Jim Wilke, host of Jazz Northwest and the nationally syndicated Jazz after Hours radio programs, both on KPLU, emceed the presentation of the Golden Ear Awards for 2013. 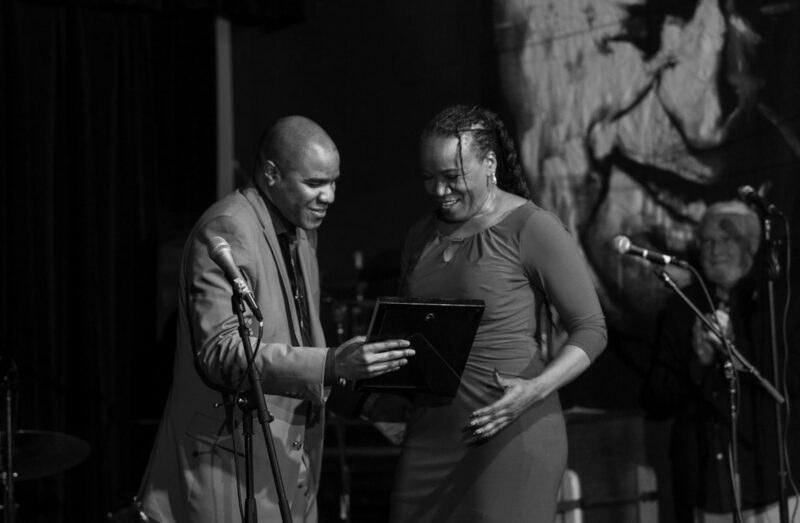 We congratulate all the nominees in this annual look at the region’s vibrant jazz ecology. Industrial Revelation (Josh Rawlings, Evan Flory-Barnes, D’Vonne Lewis, Ahamefule J. Olu) opens the night. Photo by Daniel Sheehan. Emerging Artist of the Year Jacob Zimmerman with Christian Pincock & Chris Icasiano. Photo by Daniel Sheehan. D’Vonne Lewis & Eugenie Jones photo by Daniel Sheehan. 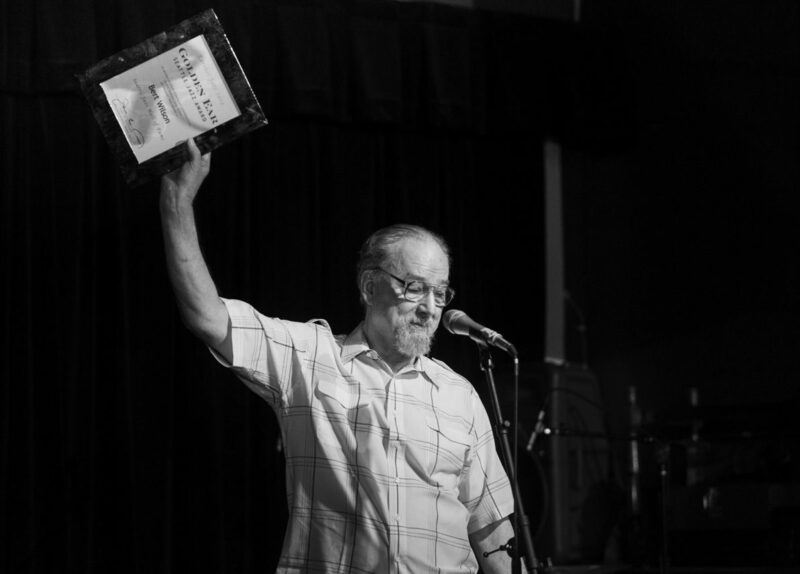 Jim Knapp accepts the Hall of Fame award for the late Bert Wilson. Photo by Daniel Sheehan. Wayne Horvitz photo by Daniel Sheehan.